Industrial simulation gives many companies a competitive advantage. 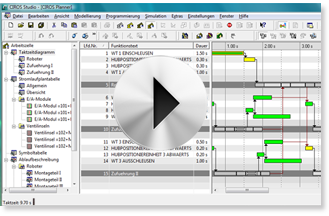 We simulate your products and production plants in their entirety and in context. Our 3D models go beyond the boundaries of the classic technical disciplines and bring them together: mechanics, electrics, and information technology are integrated in models for experimentation. 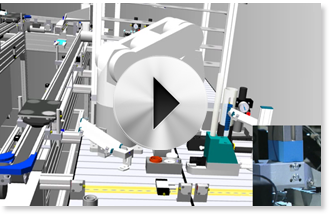 This 3D simulation of the Festo MPS 500 production plant represents many details of automation technology. 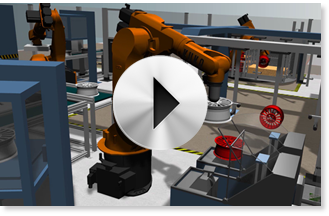 Entire manufacturing stations can be assembled from 3D library components easily. The complexity of every cycle time planning increases with the number of components and dependencies. You may want to use modern planning software instead of freehand sketches or spreadsheets. The complexity of each cycle time scheduling increases with the number of components and dependencies. Instead of hand sketches or spreadsheets, make better use of modern planning software.